We are a local, independent, professional caterer with great passion for good food. Our specialties are the classic of Italian cuisine: fresh pasta, risotto, lasagne, tiramisú and so on. - Retail: find our "Almost Ready" products at your local grocery store. - Markets: visit our stall at some of London's best markets. 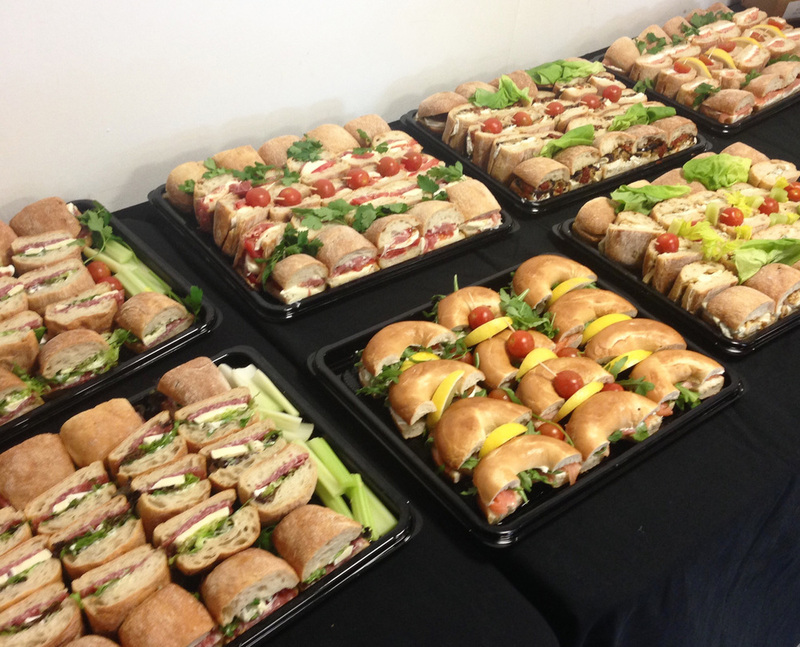 - Catering: we also prepare and deliver outstanding cold food and desserts for meetings, Company and Private parties. Our motto is "A few simple things, but well done": we bake our own bread and tarts, hand-make the ravioli one by one and prepare the egg pasta with our manual pasta machines. We cook with passion and using only the best ingredients: extra virgin olive oil, Parmesan and passata are strictly from Italy. For everything else we source locally as much as we can, meat and eggs are organic and free range. We don't cook fast-food, everything we do takes time, and we love it! We actively support the "London Food Link", the Charity campaigning for a healthy, sustainable and ethical food system for the Capital. Not the usual ready meal! 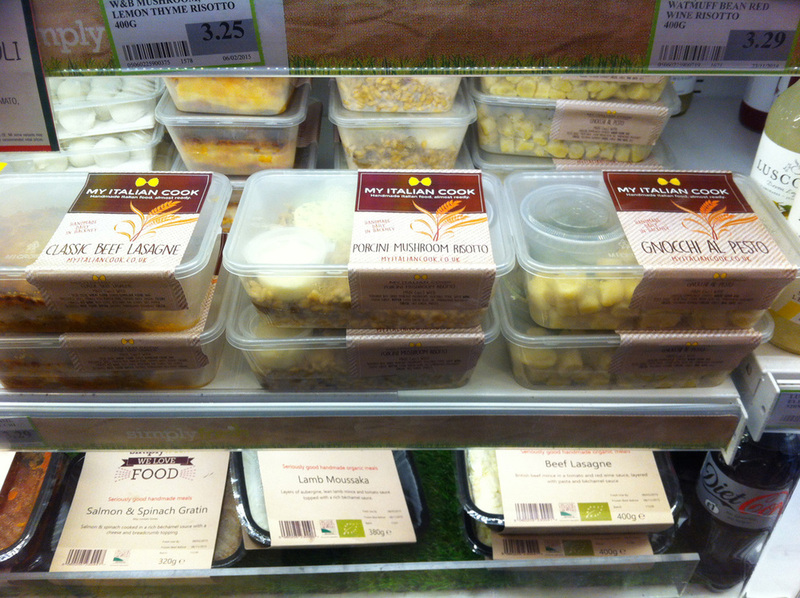 We are talking about healthy, high quality food prepared and packed for you. All the benefits of a home made dinner, without the hassle of cooking it. Available at local retails and market stalls. Follow us on Twitter and Facebook to know where you can find them, and for more info about new products. You don't need to do anything, just relax and enjoy this Italian masterpiece. Real espresso, Savoiardi biscuits and a soft Mascarpone cream. You can serve it with a garnish of strawberry coulis, included in the pack, a sliced strawberry and a mint leave, or just eat it straight from the pot. Two portions per pack. Made only with fresh egg pasta, Bechamel and Bolognese sauce, all homemade. Ready in 5 minutes in the microwaves oven, or in 15 minutes in the conventional one. Arborio rice, Porcini mushrooms and a silky finish with our garlic & parsley butter and some grated Parmesan, all included in the pack. Ready in 5 minutes, in the microwave or on the hob. Soft potato dumplings, with a generous pot of homemade Basil Pesto. Microwave or boil them, they will be ready in few minutes. Get some real food for your people! Salmon, Soft Cheese & Lemon bagels. Charcurterie on Breadsticks, Olives, Crudities & Hummus. Black Olive Paté on Homemade Croutons. Homemade Pesto on Homemade Croutons. Fruit Kebabs and Panna Cotta. Chocolate, Pear & Amaretti Cake. Mix ciabatta and bagel platters. When it comes to cold food, we put the same amount of passion and dedication as we do when preparing our fresh pasta. We know that at office meetings you are better off with some sandwiches and finger food, but this doesn't mean you can't get some real treats like homemade croutons with fresh homemade Pesto and Black Olive Paté, or delicious Panna Cotta. Contact us for full menu, prices and availability.